The Prime Minister yesterday asked the Ministry of Transport, relevant agencies, the People’s Committee of Tien Giang province and the investor of Trung Luong- My Thuan expressway to speed up the project’s construction progress in order to build it by the end of 2020. The project plays a very important role in connecting Ho Chi Minh City with Mekong Delta provinces. However, its construction progress is currently lower than requirement due to a difficulty in capital mobilization, the change of mechanisms and policies relating to management and usage of public property, investment policies under Public Private Partnership (PPP) form as well as the capacity of investors. 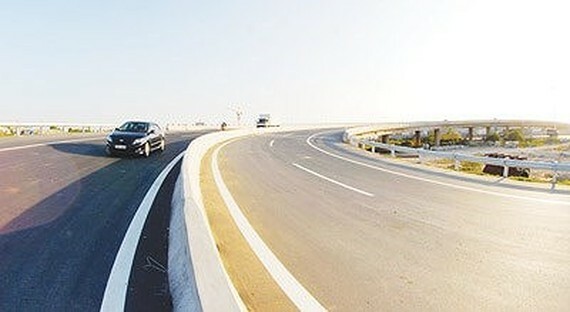 In order to solve the difficulties, the PM directed to continue building Trung Luong- My Thuan project under Build–Operate–Transfer (BOT) contract and provide the project with financial assistance from the state budget to prevent toll collection from long lasting and open the route to traffic by 2020 to meet inter-regional transport requirement. The Prime Minister approved to transfer the jurisdiction of approving the project’s pre-feasibility study reports from the Ministry of Transport to the People’s Committee of Tien Giang province, requiring to hold every two months meeting to speed up the construction process. Additionally, the PM also assigned the People’s Committee of Tien Giang province to ask relevant enterprises to recheck financial plans on the basis of changing the government support mechanism from free collection to budget support. The change aims to ensure the project’s payback time not to exceed 15 years.